This is one of my favourite soups to make if i’m feeling run down. It’s warming, soothing and digests very easily – a great way to give yourself some much needed nutrition without draining your reserves by eating something that’s complicated. It contains an array of immune boosting ingredients and can be prepared quickly without too much fuss, so it’s suitable for when you’re feeling tired and out of sorts and in need of a hug in a bowl to cheer you up. To make it vegetarian just sub the chicken stock for vegetable stock. 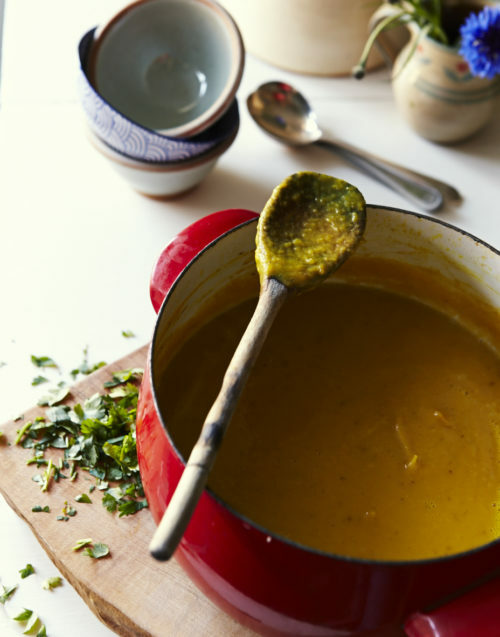 This soup is also great for little ones (even those who are veg-phobic! ), I often recommend this to my clients who want to support their children’s immune systems but need to make the vegetables more appealing.